Materials: 100 % wool worsted weight yarn 100 g.
Cast on 74 sts (including edge stitches). 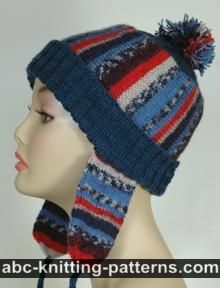 Knit fisherman's rib pattern for 27 cm (11"). Knit garter stitch for 4 rows decreasing half of the stitches in the 1st garter stitch row. Cut yarn, leaving a 10" (25 cm) tail. Pull through remaining sts and secure. 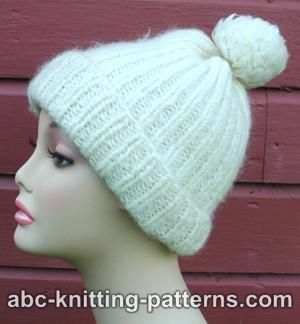 Make a pompon and sew it on the top of the hat. There are 2 total comments on this article. Doesn't seem easy to me. 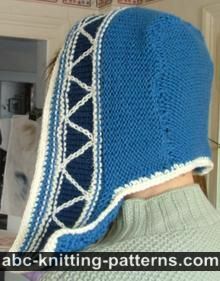 Slip stitch? Yarnover? Wha??? 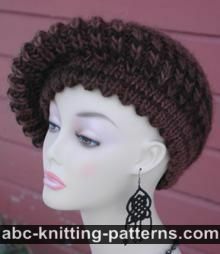 would love fingerless glove to match this hat pattern !